People look at me funny when I say I don't sew, but really it's true! I just used my zipper foot for the very first time! The tutorial for this wallet can be found here by Clover and Violet. Jennie was doing a tutorial for the 2012 Finish-a-Long. Clover and Violet have a whole ton of similar free patterns here. Since I've never tried to use a pattern like this before, I make some mistakes, but I'm really pleased with how it's turned out. The little pocket on the bottom and the hair elastic / button combo veer from the pattern instructions. The fabric is entirely a set of charm squares from Connecting Threads - the line is called Faux Burlap. Every year we, as quilters, decide that this year is going to be the year of the UFO (or PHD - project half done). Every year, the shear amount of projects is overwhelming. Just recently, I found a support group! 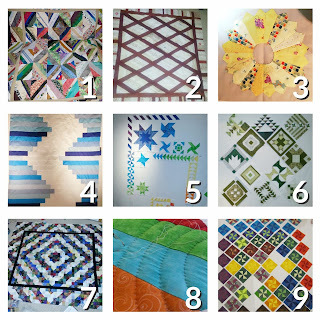 Previously I had resolved to to finish 9 quilts this year. Some of my PHDs go back to 2010. 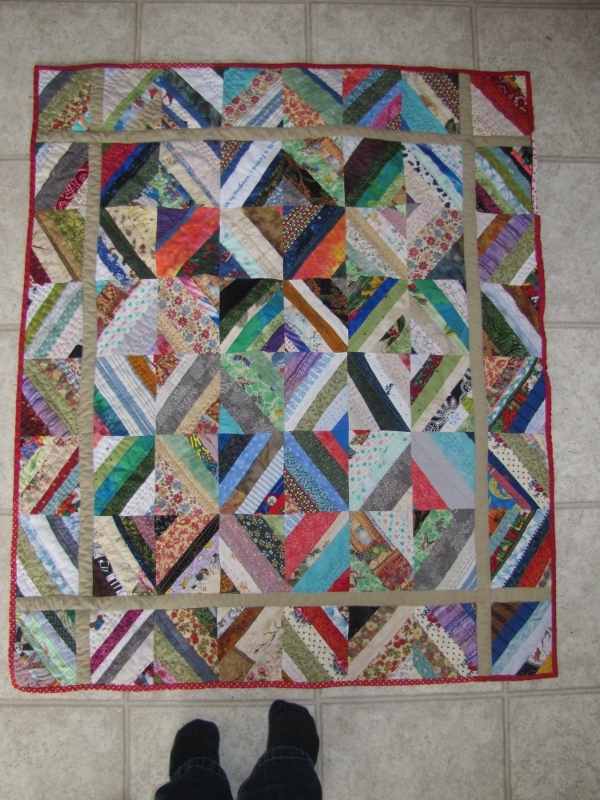 For reference, I started quilting in 2005. The top one has been languishing for 6 years. 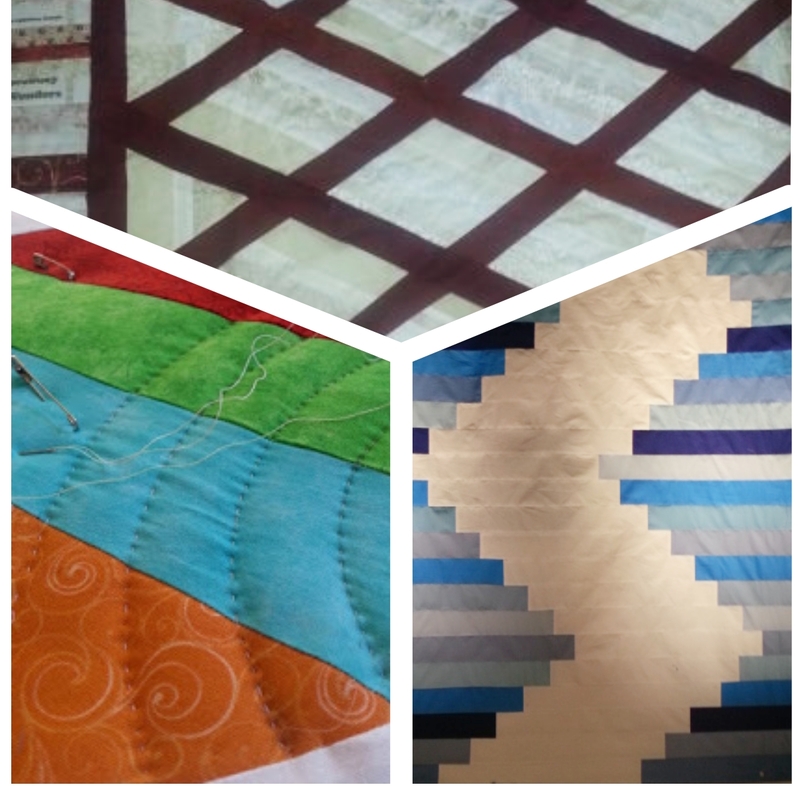 the bottom left is only two years old but the hand quilting pattern I chose is beating me senseless. The other is a squirrel from last summer that would be nice to have out of the way. String Theory is a quilt I started in 2015 after I had a work shop with the wonderful Bill Kerr. He had some interesting thoughts on neutrals and their place in a colourful quilt and off I went making blocks so I could test his theories. Along the way somewhere I discovered that all those string blocks created a lot of movement and stretch and after something didn't measure properly I put it in a box. My version of a temper tantrum. Fabrics: I have a drawer of strips. I was hoping to put a dent into them, but it's impossible to tell that I was in there at all except that they are messy now. 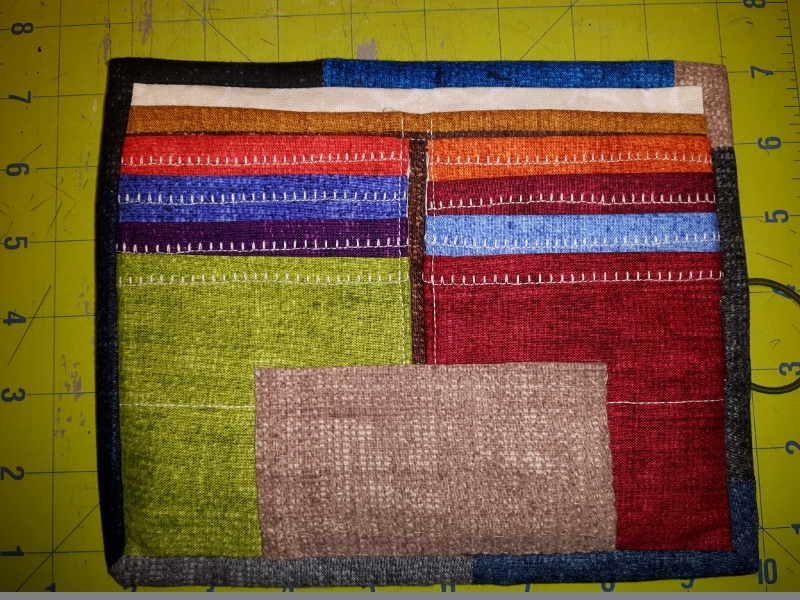 I wanted to do a series of String Theory quilts with different neutrals, but I'm going to have to change the design because this didn't turn out to be a lot of fun. My favourite part of the quilt is the big stitching I did in red. It's mostly invisible on the front side, but adds a lot of fun to the back. This is the first of nine that I want to complete for 2017! 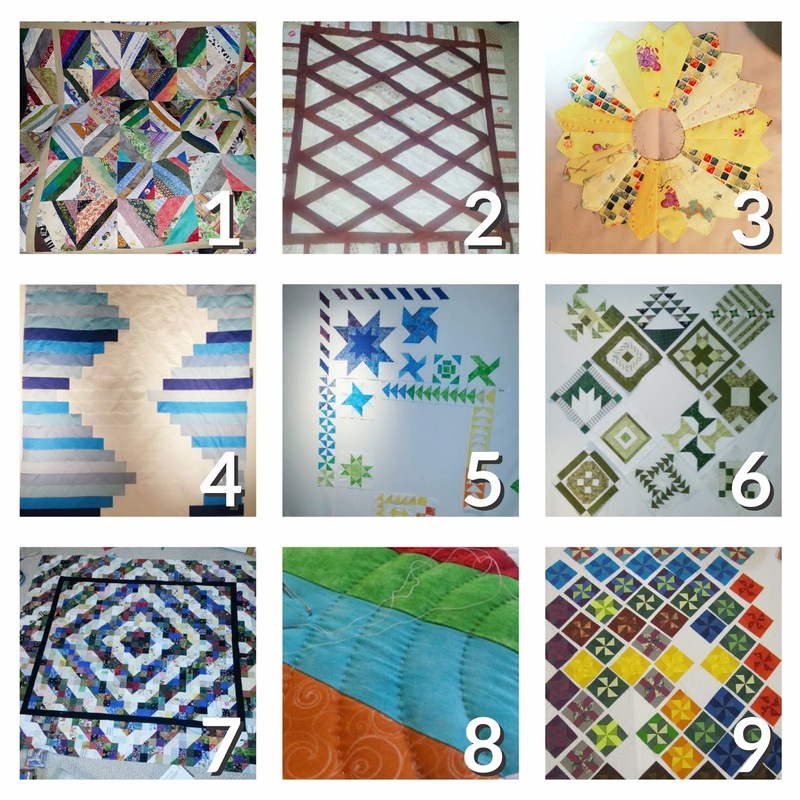 I read a lot of quilters' blogs. A common theme every January is UFO conquering. 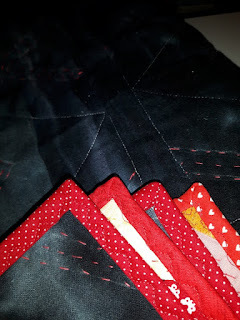 It's a good and noble thought, but most quilters have the next six quilts in their head all the time and the urge to start them can be insurmountable. Back in 2015, I made a UFO list. BTW, I've changed that name to PHD: Projects Half Done. It sounds so much better. So, I made a list in 2015. Click the year to view it. I've made progress of a few of those. Two are done. At least one hasn't been touched. 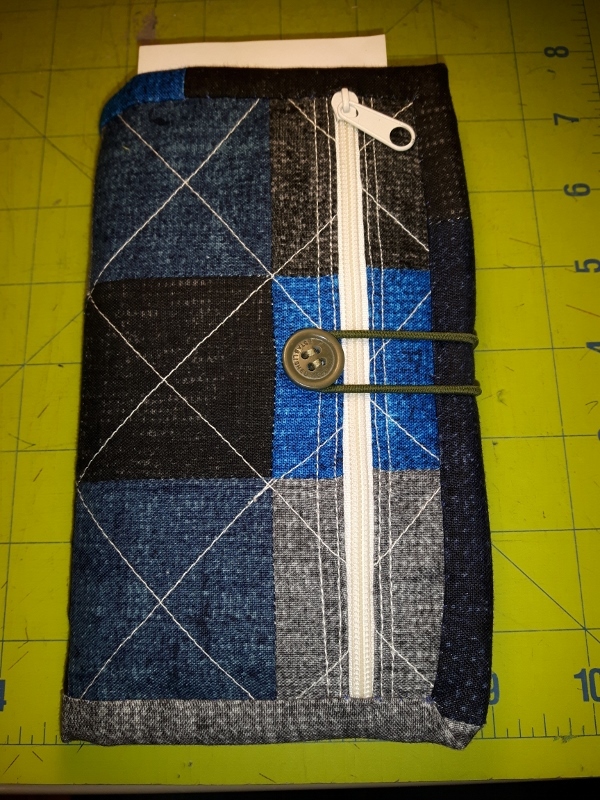 Recently, I made myself a quilters journal for my PHDs. Actually, I made two journals. Each had forty pages - one page for each quilt. I can check off each step as I complete it and make notes about what needs to happen. Um. There are 4 pages left in the first journal and only 3 or 4 quilts have been completed since I started using it a few months ago. My quilting life is a constant state of 'squirrel'. Here they are. My Future 2017 finishes. 1. 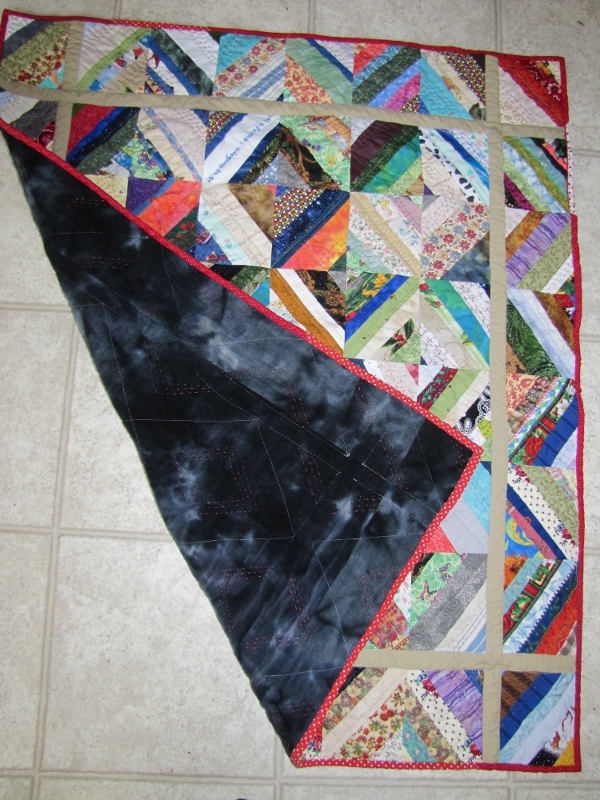 String Theory Part I: This quilt is *almost* finished. 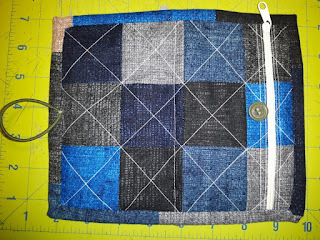 After I quilted it, I decided it needed some big stitch quilting so that's where I'm at now. 2. 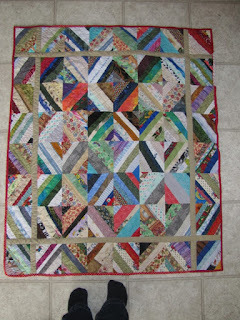 Diamonds on a String: This is a quilt that was started in 2010. At the time, I felt all my quilts needed to be bed sized or they were not very useful. My thinking on this has evolved to "I want to try all the things so crib size is where it's at". I'm pretty sure I'm going to put a border on it and call it a day, but don't quote me on that. 3. Modern Dresden: I'm having a lot of fun with this. When it's done it will probably look like I've tossed different sized Dresdens onto a pieced grey background and quilted them where they landed. The top is maybe half finished. All the Dresdens are done. 4. A squirrel from last year. It just needs to be quilted. 5. A Craftsy class that I'm half finished. I think I had a temper tantrum when I realized I needed to de-stitch something and put it in a box. 6. Aurifil BOM from 2014. The top is finished. 8. This is the last quilt from a Craftsy Class on Modern quilting. I decided to hand quilt the top with concentric circles. I am having the worst time keeping all the circles even. 9. 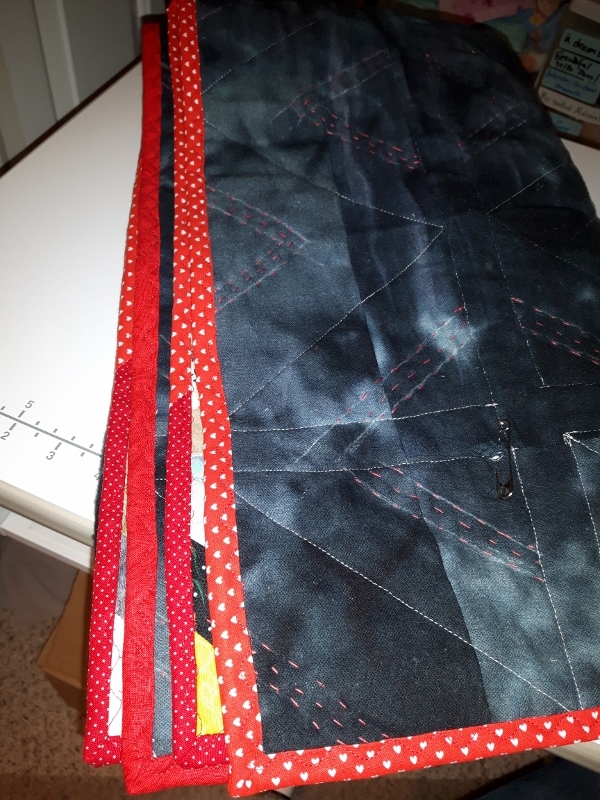 Blocks from a friend that I just need to sew into a top. I'll probably give this one to MCC when I'm done. Meanwhile, I need to go shopping. I'm down to one quilt worth of batting. It's like only having one blade left for your rotary cutter. It's making me itchy.